And we break them down into what we think is the best. 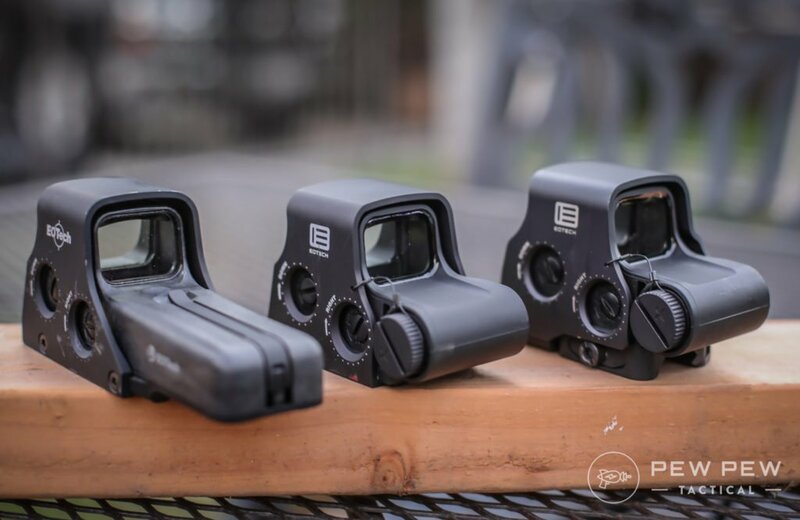 *Update*: Now we have 3 tested EOTechs too! 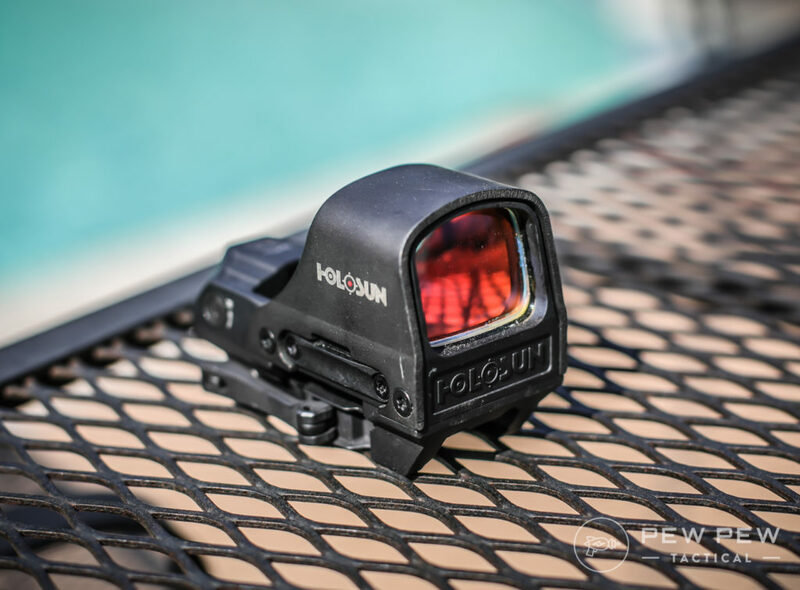 Without going too much into everything…why would you even want a holographic sight compared to a red dot? We have this super in-depth article for that. 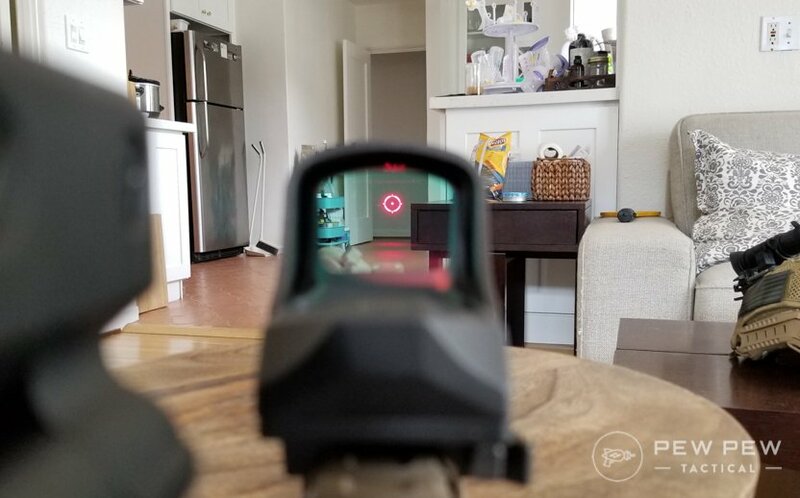 Red dots (or reflex sights) operate by having an LED project a dot towards a lens, which is specially coated so that it bounces back towards your eye. 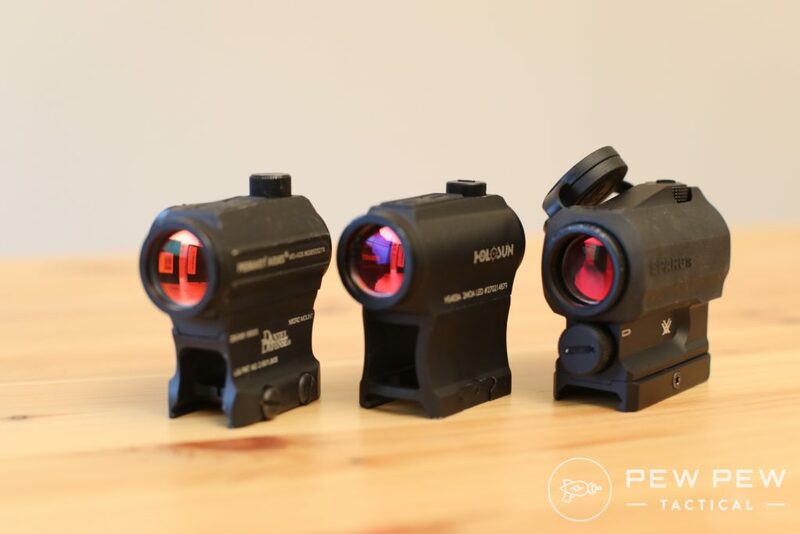 Check out our Best Red Dots Under $200 article. 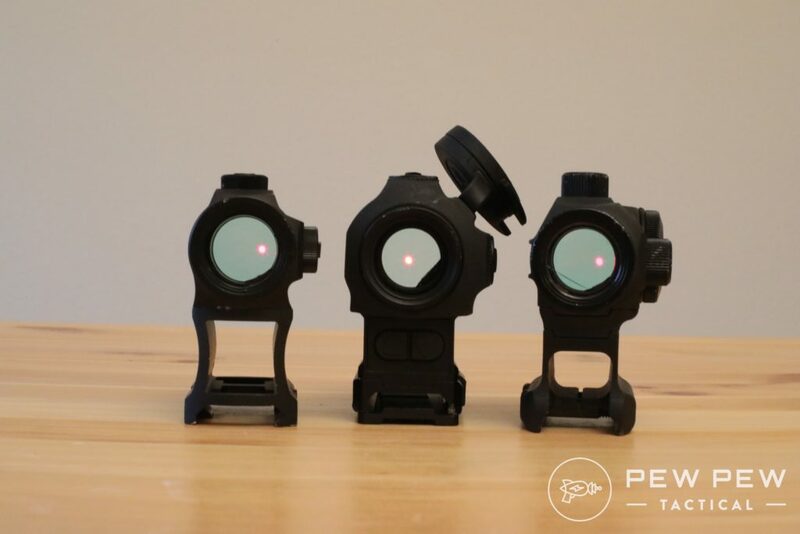 Since it uses a laser to transmit the reticle, it uses up more energy than a simple LED. 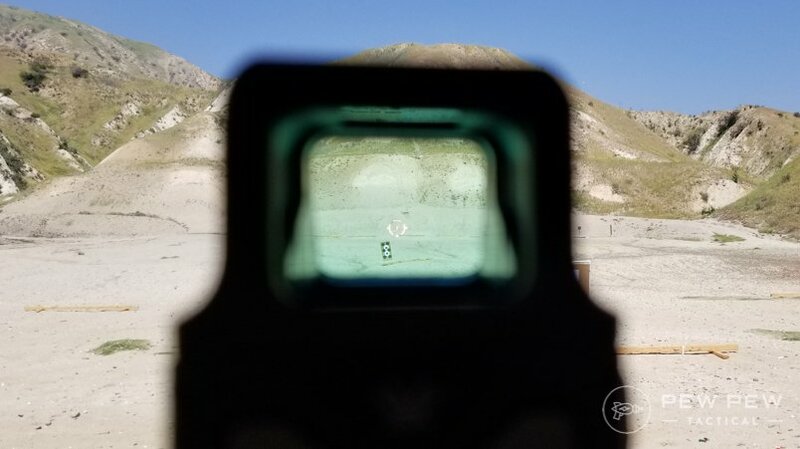 There’s a relatively unknown (but super important) distinction is that the reticle is projected outwards at the target instead of bounced back to your eye? 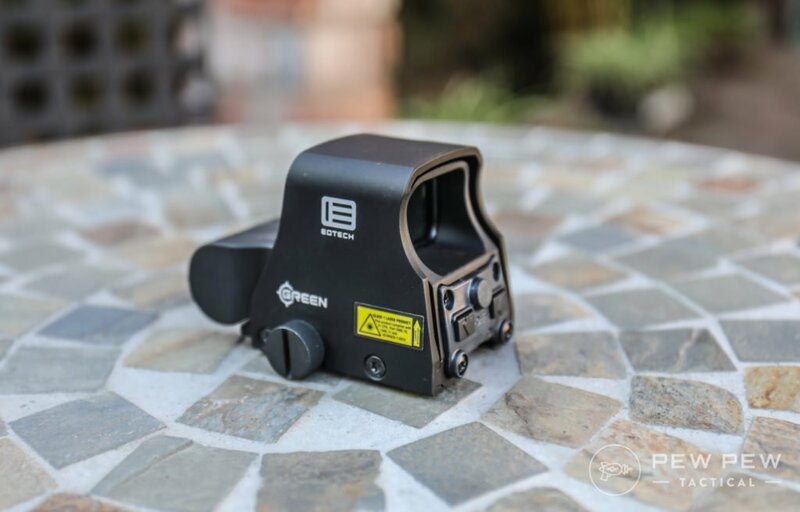 It makes for faster acquisition since your eye is not battling between focusing on a red dot at the optic distance vs the target. 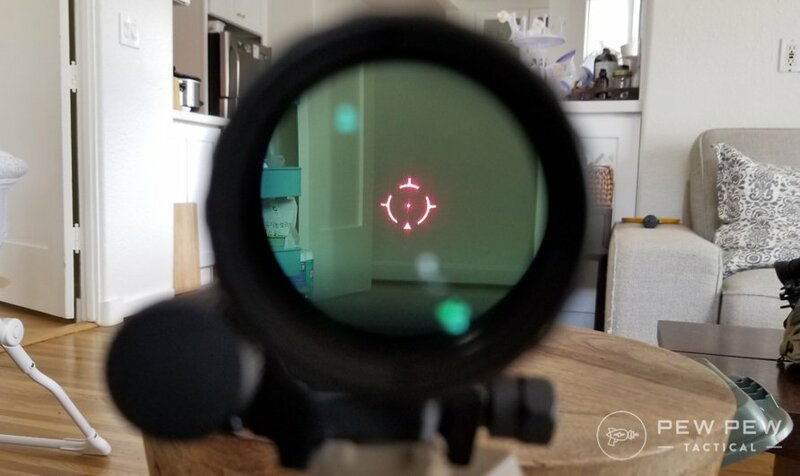 With a holo you’re focusing on the target AND the reticle. 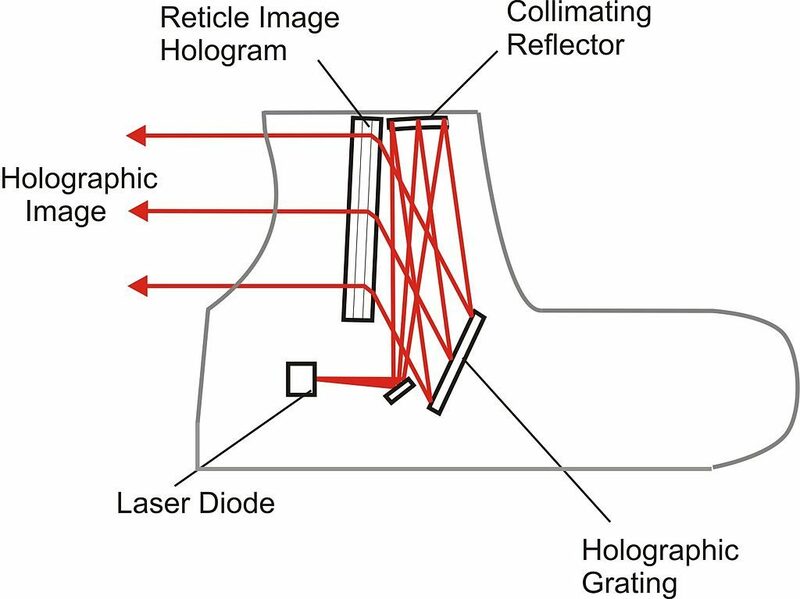 Oh…and even if your entire front lens gets destroyed…your holo will still keep on chuggin’. 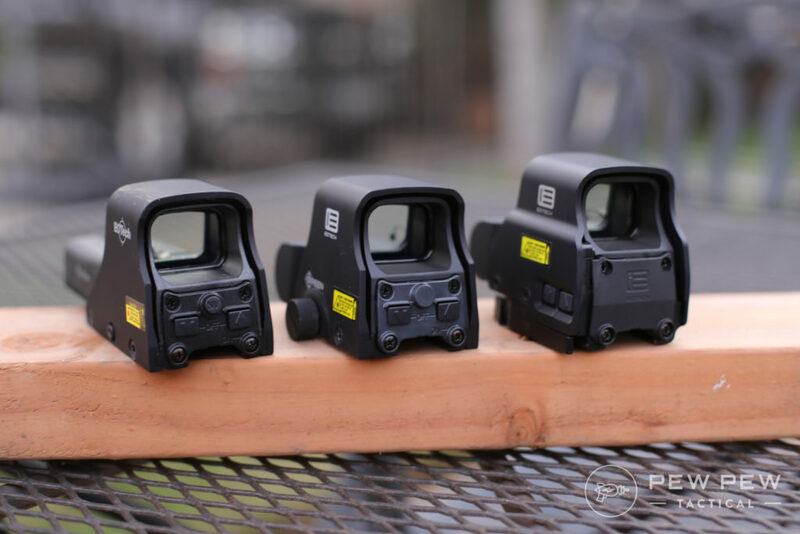 Back to the EOTechs…the Model 512 is their most popular since it’s their most affordable. 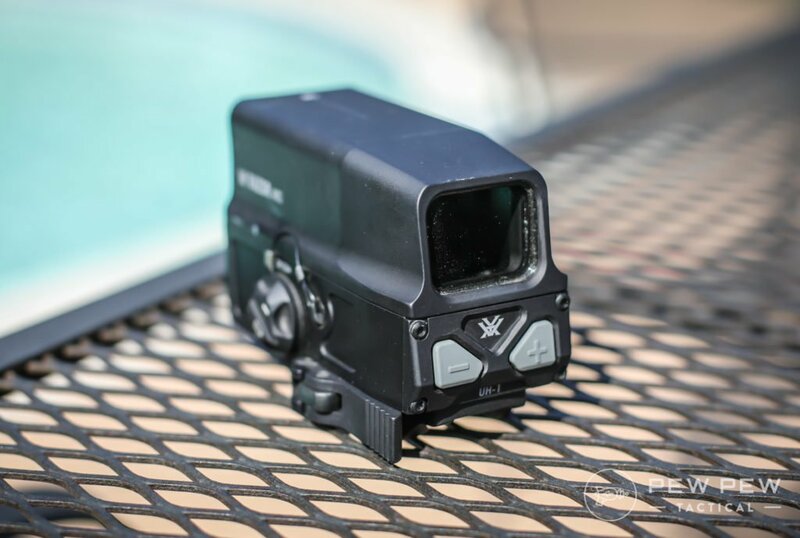 It’s longer since it uses AA batteries which are normally easier to find than CR123 in the newer EOTech models. You’ll get up to 1000 hours of battery life with a lithium AA and a matching 600 hours with regular alkaline AA. 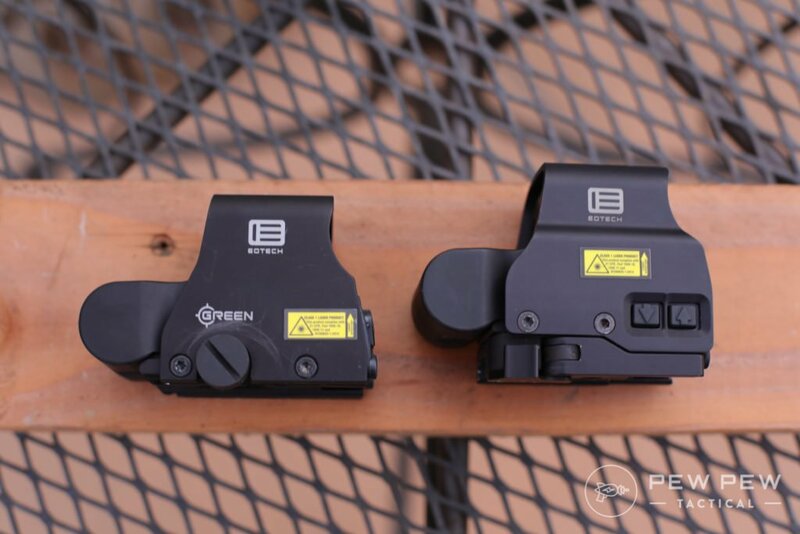 It also uses a screw attachment instead of the quick-detach system of the EXPS2-0. 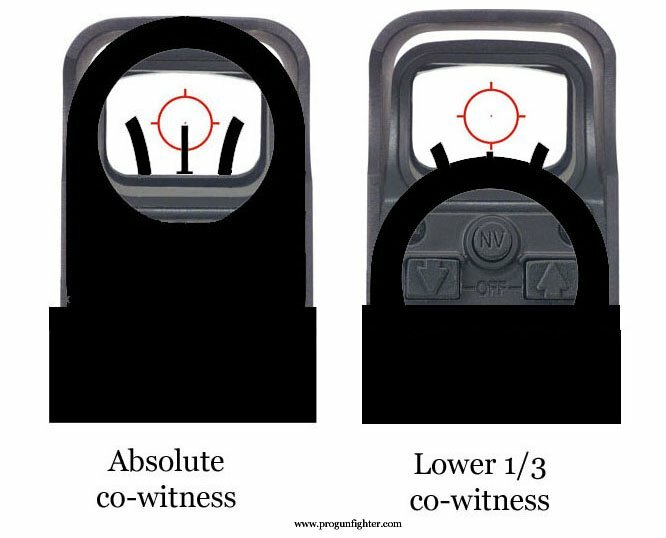 That means it weighs less, costs less, and gives you absolute co-witness. 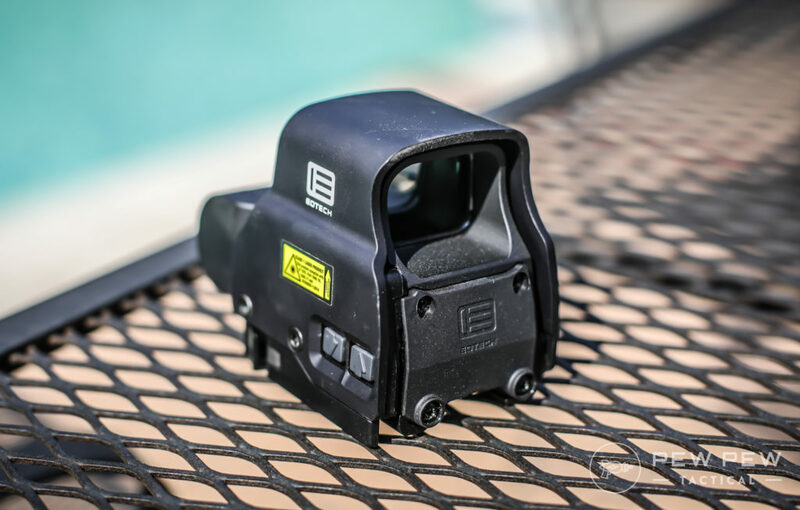 We’re back to the “newer” smaller EOTech design with the XPS2-0. Like the Model 512, the XPS2-0 is screw based so you save a couple bucks vs the QD mounted EXPS2-0 version. 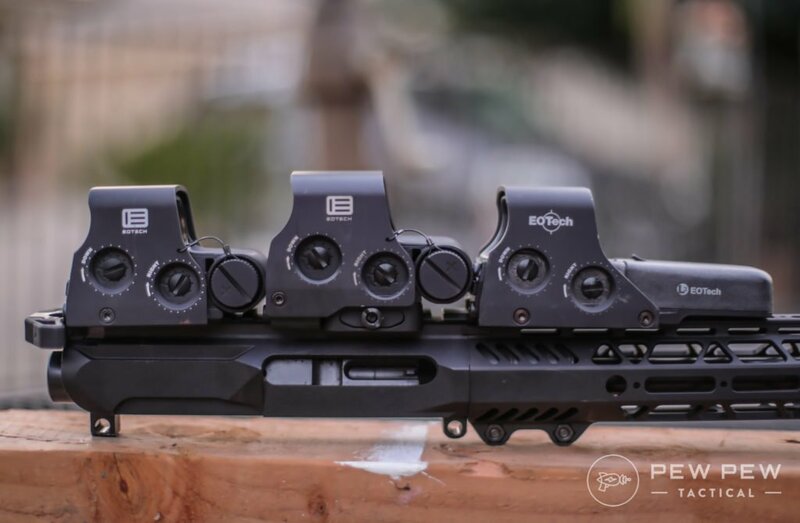 The buttons are also moved to the front which works easier for most applications but if you plan on adding a magnifier…it’s better to have the extra height and buttons to the side of the EXPS2-0. 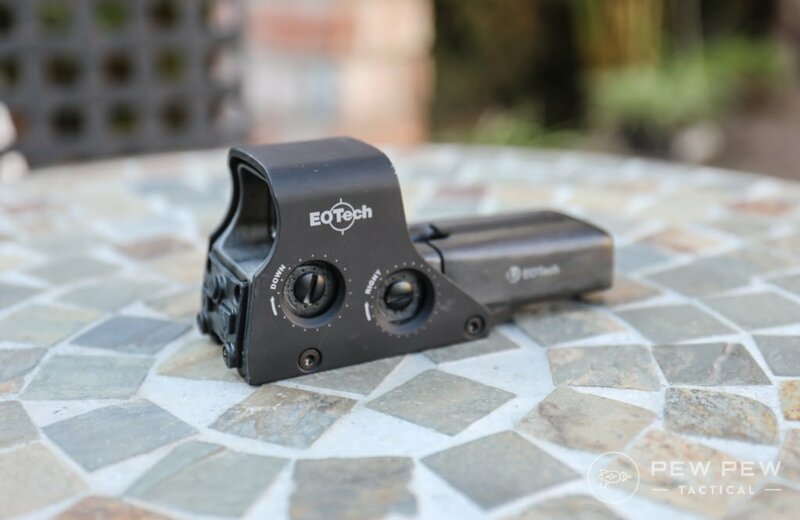 My pick if you don’t plan on moving your optic a lot, not using a magnifier, and want to save a few bucks with the new EOTech model. 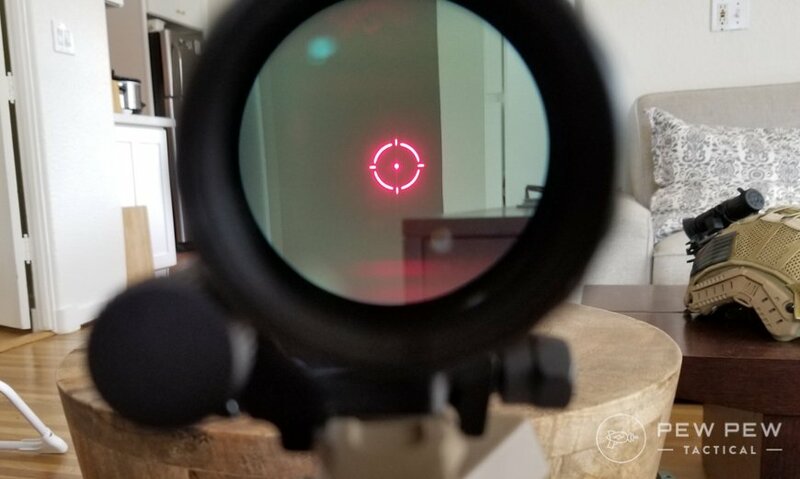 If you’re solely looking for the circle and dot reticle (and not the slightly increased acquisition speed)…you can’t go wrong with this optic. 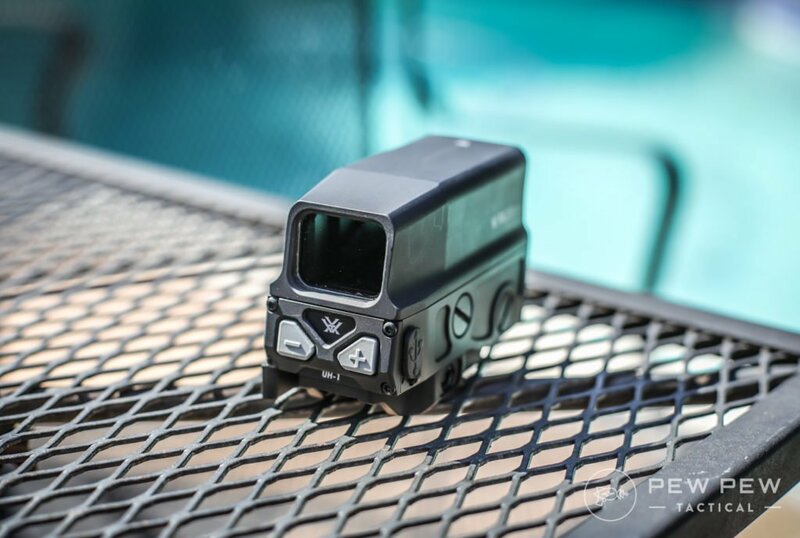 And now they have their “Elite” version which has a green reticle. 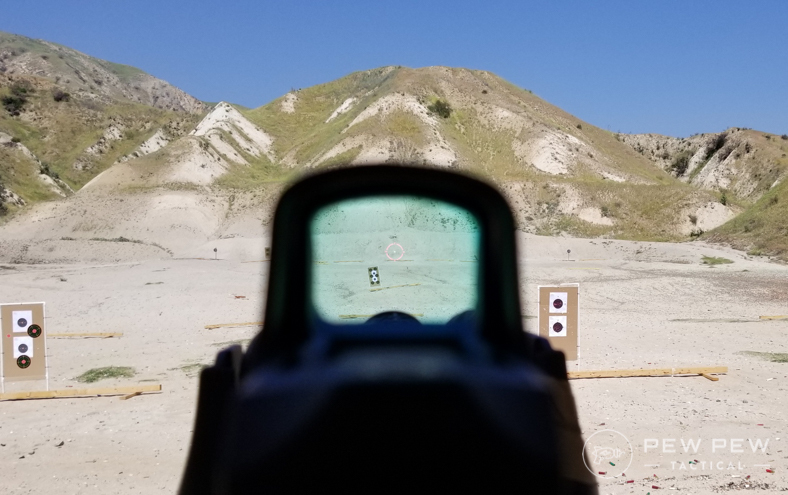 I haven’t tried it extensively but it does help your eye see the reticle a little faster. 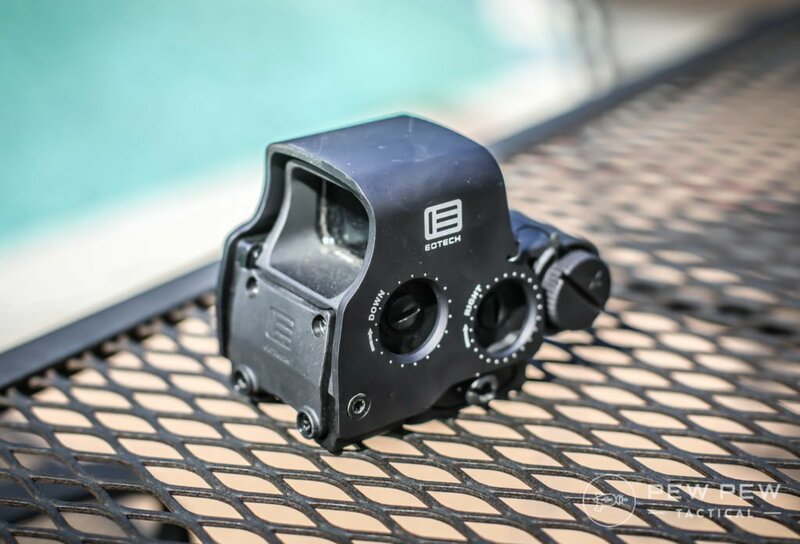 If you want to go with EOTech but save a few bucks…go with the Model 512 which is a little longer and heavier. 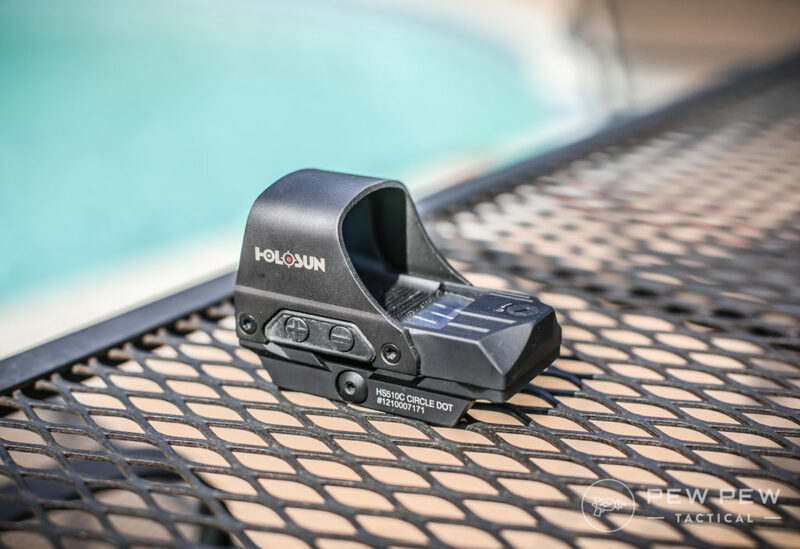 Did we miss any holographic sights out there? 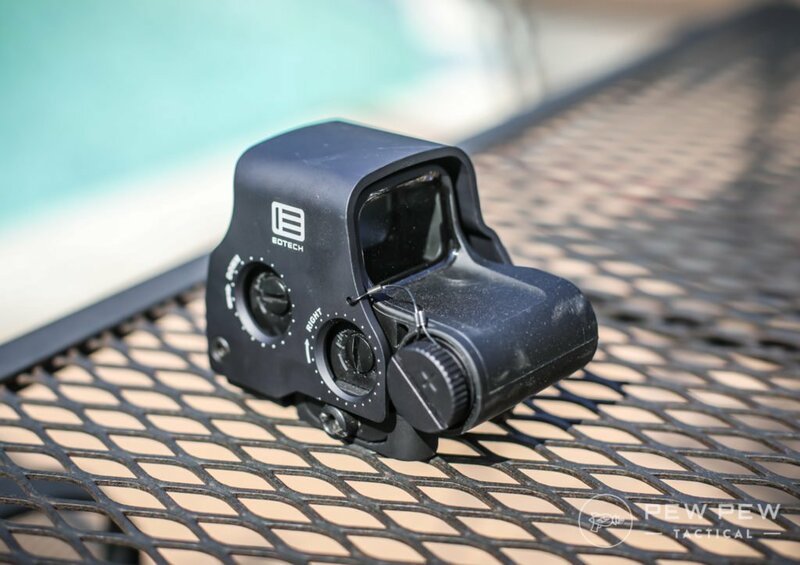 If you’re set on EOTechs and want to see even more models…check out our Best EOTech Models. 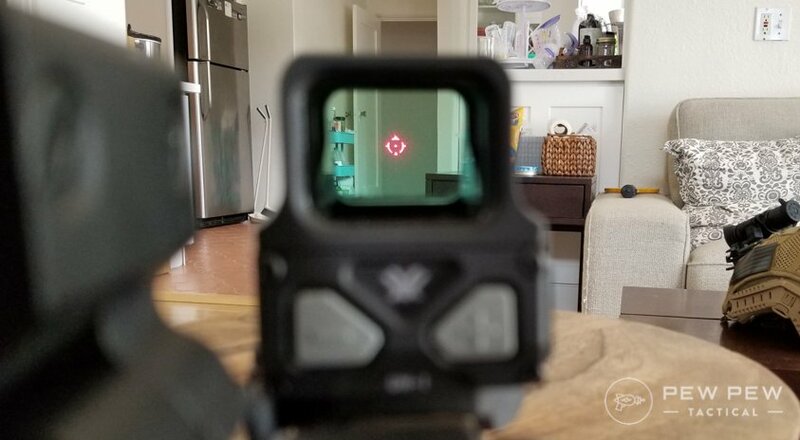 After looking at EOTech vs Holosun, I got the Holosun. 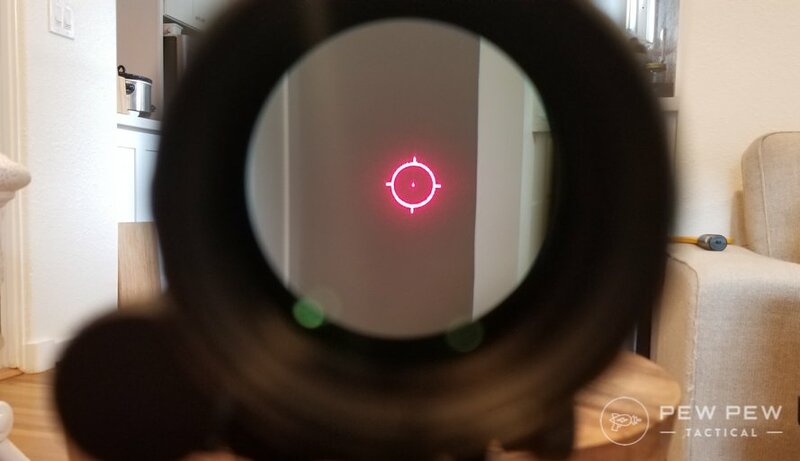 One thing I noticed that sold me right away was how clear the Holosun was compared to the EOTechs. The shake and wake tech is awesome. 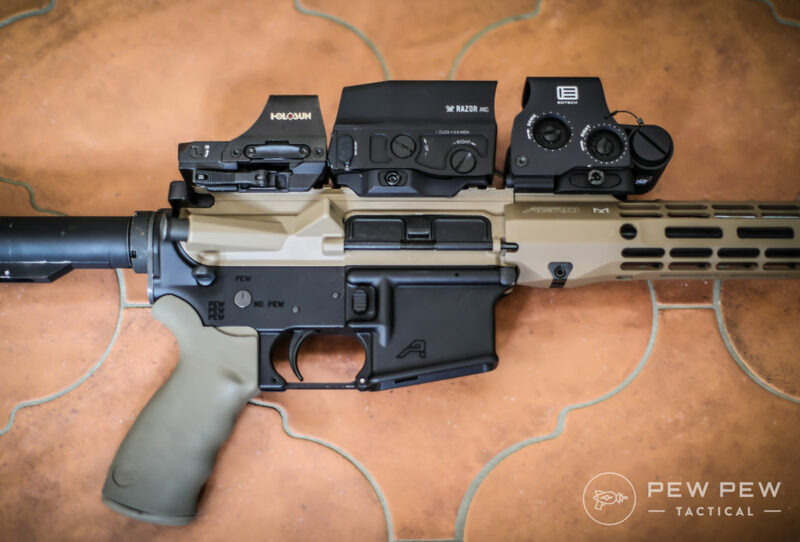 My primary use is for home defense and at the range and the Holosun is perfect for my lifestyle. I ended up buying one from an authorized dealer because several sellers on Amazon have had complaints about counterfeits. Also, their warranty is only valid if purchased through an authorized dealer. 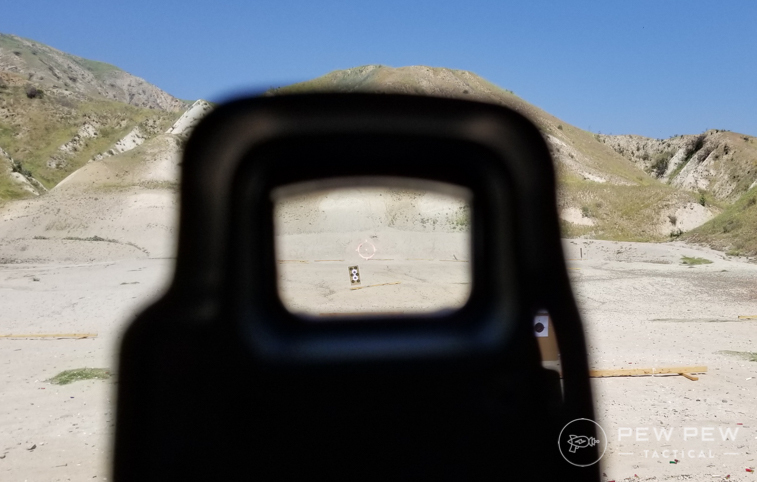 WHAT ARE THE VIEWING WINDOW DIMENSIONS OF THESE THREE SIGHTS? 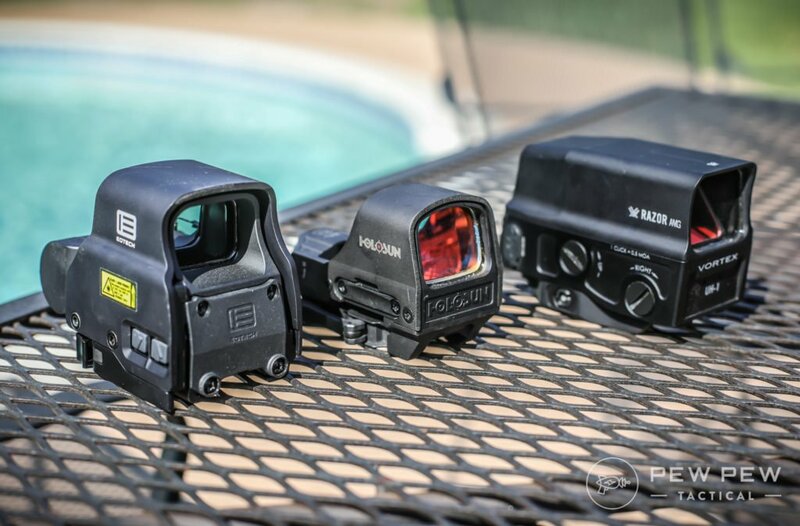 HOW DO YOU RANK THEM IN TARGET ACQUISITION? 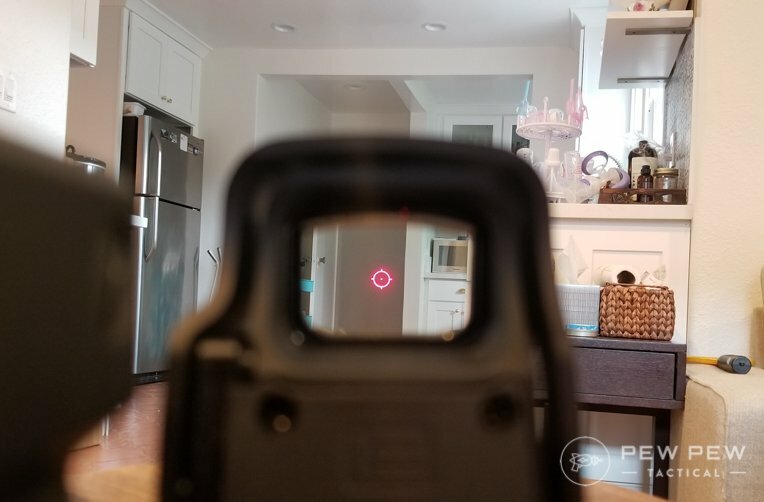 I always get confused with titles like “best red dot” etc. 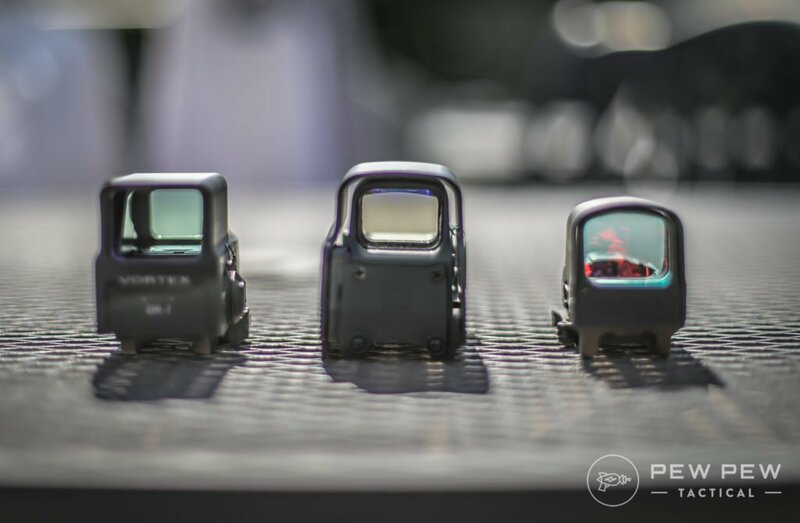 If I understand correctly these are only for riffles, not handguns. Would really help to clarify that. 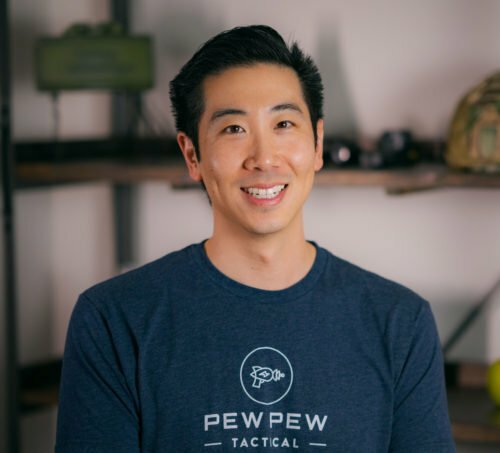 Hi Oliver, we’re going to have a Best Pistol Red Dots article coming out in the next 2 weeks.